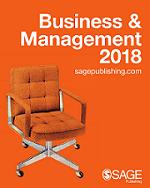 SAGE publishes a fast growing list of business and management textbooks, alongside a leading portfolio of journals. 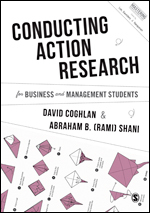 From Leadership and Marketing, to Human Resource Management and Organisation Studies, our critical, thought-provoking books for undergraduate and postgraduates help develop leaders and managers of the future. We are proud to be working with top societies and institutions to publish leading journals in Business, Management and Organization Studies, with the aim of promoting the latest research and theory in the field. Bookmark this page and visit us again, as we profile new and innovative books, share news from our authors, and highlight the latest research in our journals. 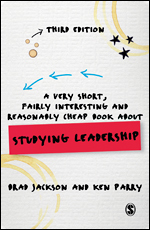 The bestselling short guide to studying leadership, now in an updated 3rd edition. Featuring topics such as gender, ethics, authenticity, and leadership and the arts. Designed to support researchers by providing in-depth and practical guidance on using a chosen method of data collection or analysis. Browse the whole collection & try the MBRM Origami! There are over 140 hours in the full Business and Management Video collection, to support your teaching and your students’ learning.